Waiver: I hereby for myself, my heirs, executors and administrators, waive and release any and all rights and claims that I may have or that may arise against the City of Surrey, the Surrey Parks and Recreation representatives, North Surrey Mustangs Football Club representatives for any and all injuries or losses suffered by my child, named on this form, while competing in connection with the program(s). Privacy: By signing this application, you are consenting on your behalf of your child or children to the collection, use and disclosure of your personal information for the purposes of the BC Soccer Association, the District Soccer Association and North Surrey Mustangs Football Club. The personal information you provide will be used for purposes reasonably associated with your child's enrolment as a soccer player. The main use of the information is to obtain insurance and for use in necessary disciplinary proceedings. The personal information will not be disclosed to third parties other than as stipulated unless required by law. If you wish to know more about the privacy polices of BC Soccer Association and its members, please contact the BC Soccer Association. 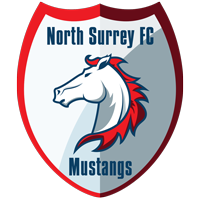 Media: I authorize North Surrey Mustangs Football Club to use photographs or videos of me or my child for promotional or educational purposes in any type of media, including its website. I understand that I will not be paid or rewarded for providing this authorization.